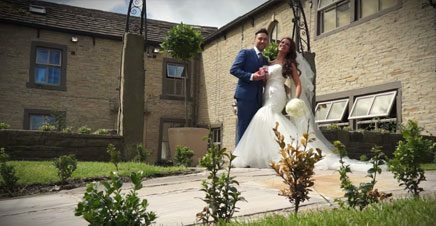 August 2013 – Elle and Tony married in front of an enthusiastic crowd of family and friends at Christ Church in Barkisland, between Halifax and Huddersfield in Calderdale. It was then off to The Fleece in Barkisland to continue the celebrations into the night. I think it’s safe to say that everyone had a great time. As a solo wedding videographer, I can ensure your wedding day is filmed with the minimum of fuss or intrusion, yet using the latest professional video and audio equipment. I hope you enjoy this trailer from Christ Church and The Fleece in Barkisland near Halifax, West Yorkshire.